A runaway asteroid dubbed "The Outsider" mysteriously begins orbiting the Earth and threatens it with lethal flying saucers. Can't believe I watched these! Scientists try to prevent a collision between Earth and a planet that is heading for it. When an alien artifact discovered on Earth is found to have come from Venus, an international team of astronauts embarks to investigate its origins. Professor Benson: Human feelings are inconsistent . In fact, they're the only inconsistent elements in all nature. Antonio Margheriti's Italian Spaghetti Space Operas are some of the most interesting science fiction from the 1960s. Starting with SPACE MEN (or ASSIGNMENT: OUTER SPACE) and culminating with the brilliantly mod GAMMA ONE QUADROLIGY, Margheriti helped to shape the ultimate form of the genre -- Kubrick's 2001: A SPACE ODYSSEY -- and gave it a truly modern ring (for the time) that was only bettered by the Soviet era science fiction like PLANETA BUR and MECHA NEVSTRACHU. A journeyman filmmaker with a background in production design, Margheriti was not as visionary in his approach as contemporary Mario Bava, who's PLANET OF THE VAMPIRES remains the most impressive example of Spaghetti Science Fiction, but Margheriti had perhaps a more populist approach to his work that still endears forty-plus years later. His use of models, miniatures and pyrotechnics alone would have earned him a very respectable place in the annals of the genre by themselves. 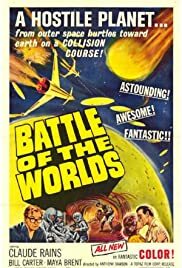 BATTLE OF THE WORLDS is his second trip into the galaxy for entertainment, and compared to the previous year's ASSIGNMENT: OUTER SPACE, this movie is almost a quantum leap forward in terms of ambitions for his plot, characters and action sequences. And I suspect that as is the case with ASSIGNMENT: OUTER SPACE a great deal of the critical responses this movie has accumulated ("Atsa one-a lousy meataball") has to do with the really crummy surviving prints of the film, or rather the surviving home video transfers available on public domain oriented DVD collections. 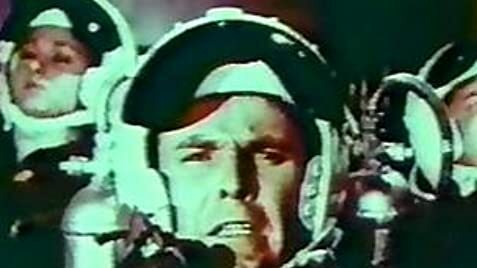 BATTLE OF THE WORLDS was certainly a much more impressive experience when shown in it's correct original widescreen ratio, probably 2:35:1 Techniscope by the looks of the pan and scanning going on to condense the film for small screen. The color on the transfers -- which are likely traceable to the same early 1980s transfer to VHS -- are almost uniformly rotted nearly to sepia in spots, with plenty of surface noise & jumbled damage to individual frames. What most people are reviewing is the DVD they saw, not the film itself. I must admit that the first time I saw this movie I despised it, didn't understand it, and shelved the poor video for a few years until I sold it before realizing who director Anthony Dawson was. 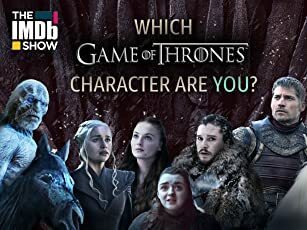 Now seeing it again a few years older and wiser I still must come clean and say I don't understand the plot, how the story gets from A to B to C, and have actually been paying attention just to figure it all out. From what I can gather, Earth finds itself under assault from a wandering "planet" that has come from another galaxy (a story idea Margheriti would later re-visit in his Gamma One project), ostensibly to conquer Earth as a new home for it's passengers. Only crazed astronomer/mathematician Claude Raines understands the phenomenon as what it really is: An attack, and urges the united Earth government bodies to act before it is too late. In pursuit of that end there are lots of frantic rocket ship battles, near collisions, big Margheriti explosions and of course a location shoot at a local power plant or electrical substation standing in for a spaceport. There is a base on Mars, guys in pressure suits doing stuff on the surface of the invading planet, a cute little puppy dog and even some romance. Including, oddly, old man Raines almost openly having a thing for his 20 year old assistant with her dark, fluttering eyelashes. Raines is easily the most impressive aspect of the film but mostly because he emotes such vigor in his role, and seems to be enjoying it so much, that you can't help but be charmed by the effort. Even if it's hard to understand what he's on about half the time. But like a Spaghetti Western what makes it "work" is the collection of individual moments that make up the film, some of which are actually very well done. 5/10: Look fast for Spaghetti Western hero Giuliano Gemma in one of his first screen roles, and yes: We NEED a better print, badly.